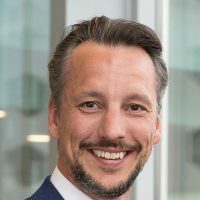 Herman Knevel is Head of Innovation at ISS and customer lead for the Global Open Innovation Program. His drive for making impact and connecting people and business makes him a real value creator. A particular interest for open innovation lies in unlocking the startup ecosystem for corporate collaborations, currently in the field of the Future of Work and in Proptech. Herman is also jury member of the European Proptech Startup Awards and the Accenture Innovation Awards, and the initiator of the Workplace Startup Challenges. Herman has extensive experience in outsourcing partnerships and value creation and innovation in corporate environments. In multiple business roles Herman has been instrumental in creating collaborative outsourcing partnerships and the adoption of the Vested Outsourcing Model for customers local and global in ISS.